Whitchurch Longmeadow Squash Club is a member's only community based sports club. We are a part of a long establised sports trust which also includes Whichurch Football Club and Whitchurch Bowls Club. We also have a large social club facility with fully staffed bar and kitchen, which is available for public bookings and where we hold many social events such as live music, poker evenings etc. 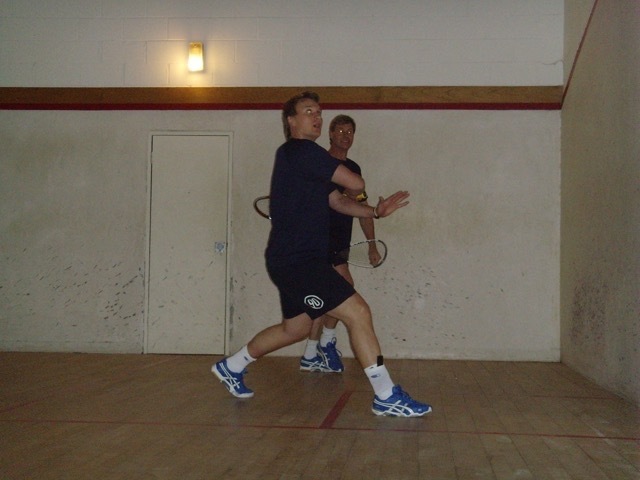 The Squash Club currently has a growing membership of over 60 and 2 recent refurbished squash/racketball courts. The courts are available for play 7 days per week, and are bookable by members via a simple web based booking system. The club caters for all levels of squash and racketball player. We have a Club night at £2 on Mondays 7-9pm, monthly leagues, knockout competitions, alongside the many social games which take place between members (and their guests). ons, We also have some Doubles competitions, Club Championships and a team in the Hampshire Squash leagues.